Swiss Meteo has issued a heatwave warning. Temperatures rose beyond 30 today across nearly all of Switzerland. A heatwave is officially declared when a period of high heat is set to last for at least three days. The heatwave warning covers all areas below 800m and is expected to last until Friday, except in Ticino where it will continue through the weekend. However despite the warning ending on Friday elsewhere, temperatures forecast for Saturday and Sunday don’t appear to be much lower. 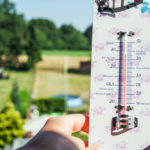 This can be explained by the forecaster’s measure of heat perception used for determining a heatwave, which includes air temperature, radiation from the sun, relative air humidity, and wind. Those in Zurich should expect highs of 33, 33 and 32 on Wednesday, Thursday and Friday. Geneva will experience similar highs with temperatures expected to reach 34 on all three of these days. Lausanne (32, 33, 31), Basel (34, 35, 34), Bern (32, 33, 31), and Lugano (31, 32, 33) will be equally hot. Recommendations for coping with a heatwave include staying out of the sun, particularly between 11 a.m. and 3 p.m., avoiding physical activity, and consuming sufficient liquid – at least 1.5 to 2 litres a day. 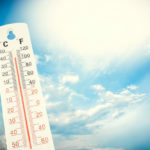 Watching out for symptoms such as dizziness, headache, exhaustion, nausea and vomiting, that could be brought on by the heat is also recommended. 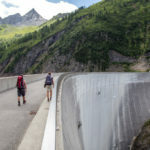 On its website, Switzerland’s Federal Office of Public Health, points out that 975 people died in Switzerland during a heatwave in 2003, most of whom were over 65. Across Europe around 70,000 died, making it one of Europe’s worst natural disasters. 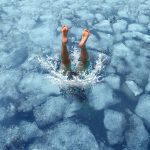 In a report in 2015, Switzerland’s Federal Office for civil Protection, classed heatwaves among Switzerland’s biggest threats. Swiss Meteo points out that heatwaves often bring dryness and a high risk of forest fire, something else to consider, especially following the recent tragedy in Portugal.